When you think of perfumes, Yves Rocher may not be the brand the first springs to mind, even though they are the number one selling beauty brand in France, they are still becoming established here in the UK. Yves Rocher sell everything from cosmetics, to haircare, bath and body products, to skincare and sun creams to slimming products. Vanille Noire – Vanille Noire is a beautiful scent based on the three most attractive qualities of vanilla, which unveil a treasure trove of nuances and subtleties on your skin: – the sensual, leathery notes of Vanilla Bourbon Absolute, sweet and floral Tahitian Vanilla Absolute, and Ugandan Vanilla Absolute with its spicy, woody character. This is a lovely light, fresh woody scent that would be great for day or evening. Vanille Noir 50ml is currently £24.50 with a massive 50% discount. Flowerparty By Night – Flowerparty By Night reinterprets the original fragrance with a daring touch. This spicy night time version, with an ultra addictive licorice accent reveals a bold seductiveness. An irresistible fruity floral with signature notes of addictive flavours. It’s botanical based ingredients include bitter almond essential oil, star anise and bourbon vanilla absolute extracts. Flowerparty 50ml is currently £19 with a massive 50% discount. Quelques Notes d’Amour 50ml is currently £27.50 with a 45% discount. So Elixir Purple – This is an old favourite of mine, and my first experience with Yves Rocher fragrances. So Elixir Purple contains top notes of bergamot, middle notes of tuberose and vetiver and base notes of benzoi, vanilla, tanka bean, frankincense, patchouli and woods. It’s an easy to wear but slightly unusual scent, which I love! So Elixir Purple is floral, woody, seductive and unique. So Elixir Purple is currently £24.50 with a massive 50% discount. Comme Une Evidence is currently £16.50 with a massive 50% discount. 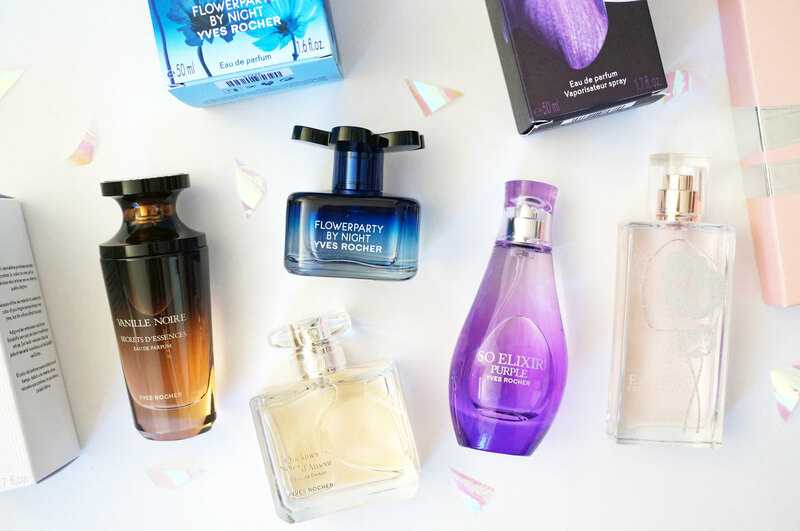 If you’re looking to purchase fragrances this Christmas, you should definitely consider Yves Rocher – they have some stunning fragrances with fantastic discounts at the moment, make sure you snap them up while you can!